JCPenny’s CEO Ron Johnson thought he was on to something when he mustered up their new branding campaign which focused on “No more games, no more gimmicks, just great prices”. Consumers who have visited the store since their campaign launch in February 2012 have reported that JCP’s ‘Best Prices’ are comparatively higher than other department stores with prices higher now than before their new efforts. JCP’s Facebook comments are currently 80 percent negative according to Business Insider. With a 20 percent decline in the first quarter, analyst are saying that the department store won’t last. Beside this being a rebranding disaster, the popular department store did not full fill on their advertised promotion, “Fair and Square Pricing”. Along with not delivering on their promise to customers, JCP failed to do any market research according to PR News Wire. JCP specifically deleted the word “sale” from any promotional material which research has shown is the MOST effective way to drive sales. 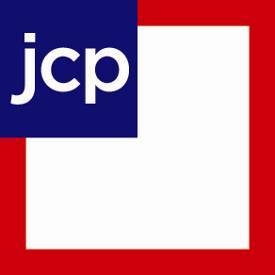 The only good news is JCP senior management has recognize the steady decline and are working to improve. What PR steps would you take to turn JCP sales and image around? Next Post Is It Time To Pay Up?